The burning problem of most of the languishing industrial units in Assam is unprofessional working capital management. Being oblivious of indispensability of proper working capital how much harm has been done to the State’s economy is a matter of concern which has been exhibited by the closed down and sick units in the State, and it may be treated as a great caution that if the managements of those suffering units do not rise to the situation, it may not be very hard to predict the extent of further predicament. There are two types of working capital viz. gross working capital and net working capital. Whereas gross working capital is the total of current assets, net working capital is the difference between current assets and current liabilities. In the present context of requirement of panacea for the limping industrial units in Assam, I am concerned mostly with the net working capital. Gross working capital is basically a financial concept to show current assets positions to financial institutions and infrastructure-providing units, etc. for different purposes like procurement of loan, and addition of machinery, etc. on credit, making comparison of total values of the current assets as per the balance sheets as on different dates as per the requirement of those entities. Current assets consist of the items such as cash, bank balances, stocks, debtors and bills receivable, etc. and current liabilities encompass the items such as bills payable, accrued expenses, bank account overdraft (short-term), interest owed to lenders but not yet paid and sundry creditors, etc. As easily understood, excess of current assets over current liabilities implies positive liquidity position of an enterprise and unless an industrial unit enjoys such a positive difference in favour of current assets, danger may creep in and continuation of such negative difference may be the most major reason of extinction of that unit. Even though normally a ratio of 2:1 favouring current assets is considered as ideal, in the context of most of the limping MSMEs in Assam, for me, the ratio of 2.5:1 and even a bit more in favour of current assets as more conducive for the very simple reason that in seasons if ploughed back money is more than that will lead to easy procurement of raw materials but my suggestion holds ground provided the unit is having accommodative utilizable capacity and the marketing department is capable of accepting the challenge. Under such a situation, I am too confident that the profitability of the unit will show upward trend. A favourable working capital position, first of all, requires the cost of production to be such that the product is successful in generating required revenue out of sales with very heartening flow of customers to the product because of its quality and price. For that, labour cost must be reasonably low, quality must be competitive in the market, raw materials cost must be as low as possible without compromising the quality. The cost of carrying and cost of ordering must be as low as possible aiming at the lowest. In addition, the top management must be competent to take some decisions from time to time aiming at easing liquidity, such as discount on the products in the market. Unfortunately, the most vital concept for an industrial unit’s survival is far from being duly put into practice in the State’s industrial arena – more predominantly amongst most of the MSMEs and resultantly they clamour for liquidity when daily operational expenses cannot be effectively met due to unavailability of sufficient fund. To arrive at comprehensive decisions on working capital management according to a situation, I strongly advocate for an analysis of Acid Test Ratio which is the total of cash, accounts receivable and short-term investments divided by the current liabilities as both of them shown in the balance sheet. To me, in the context of the suffering industrial units in Assam, Acid Test Ratio should be around 1.5:1. If the Acid Test Ratio is not favourable, then the management will have to be much more careful and result-oriented for working capital management with a broader and much-more professional outlook towards inventory management to meet the operational expenses very favourably. Therefore, necessity of proper inventory management comes to the fore. There are many raw materials which are very affordable in respect of both price and quantity when they are seasonally available in abundance; for example, the prices of potato per kilogram in the period from February to April as compared to prices from the month of May till the new local produce is available in the market. Similarly, different varieties of mango grown locally and suitable for pickle are available in abundance from the third week of April till May. Thus from April to July, if an industrialist makes provision for sufficient liquid fund, raw materials cost for mango-based industries becomes very much cheap. Not only that, two inherent costs namely, ordering cost and carrying cost can also be arranged suitably. In case of almost all raw materials, seasonal availability should be the prime consideration of the manufacturers since during seasons fairness in both prices and quantities is ensured. However, for an industrial unit in such procurements, challenges such as expenditure on cold storage, difficulty in transportation during monsoon etc. may adversely affect lead times (the period from placing order till receipt of the commodity) and resultantly, if the situation is not suitably managed, the cost of holding inventory may go up unreasonably. 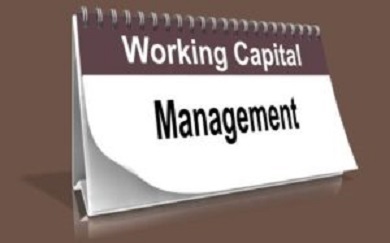 Answers to all those problems are found very substantially in working capital management. This is a time-bound solution only; vigorously professional attitude of the marketing department can only provide the permanent solution. Management of such situations emanates from the concept of working capital management and pathetically, utilization of that concept is far from being satisfactory in vast majority of the cases of industrial units in Assam. Not to speak of any move to increase investments in fixed assets which are capital expenditures, the initially infused capital expenditures may even become an unbearably extra fat if working capital management is improper and in Assam, an impartial and thorough enquiry shall surely conclude that most of the sick industrial units are suffering from a mismatch of heavy capital expenditure against improper working capital management. While capital expenditures ensure availability of infrastructure, working capital must ensure sufficient fund for day-to-day operational activities.